The introvert in me loved this book and related to the narrator, elderly recluse Aaliya, from nearly the first page. She spends her days holed up in her apartment, translating literature and philosophy into Arabic and eavesdropping on her neighbors. Listening in on the women's conversations is as far as Aaliya will go—she is deeply and personally invested in their lives even as she avoids direct contact with them. This is far from the only contradiction in her solitary life; her translations, the result of nearly fifty years of labor, have never been read by anyone. Once each book is complete, Aaliya packs the pages away in boxes and stores them in a spare room. She claims the process is what she values, not the product, and that publication has never interested her, but it soon becomes clear that Aaliya can't be counted on to be completely honest about her feelings. It's amazing to me how much I could relate to Aaliya, considering how stretched I was by other elements of the novel. 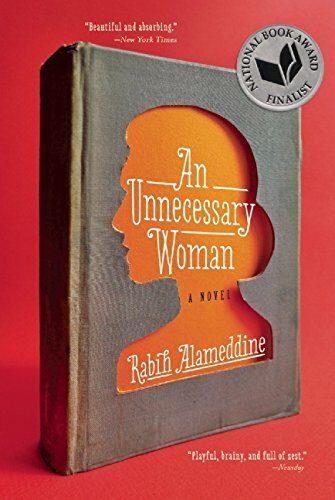 I knew next to nothing going in about Beirut, Aaliya's beloved but embattled hometown, but Alameddine's descriptions of not only the physical surroundings but the emotions, the atmosphere of the city made it real to me. I also have very little experience with philosophy, and I could practically feel the rush of air as Alameddine's references passed over my head. Imagine my disappointment when Aaliya mentions The Color Purple—finally, a book I'd actually read!—only to say how she disliked it. Sigh. A scholar I'm not, though I suppose if that's a problem, it's mine, not the author's. Despite the distancing effect of the allusions, I was drawn into the lonely world Aaliya builds around herself, especially as she reveals how she lost her best (and possibly only) friend years before. Aaliya expresses disgust at novelists who insist on epiphanies for their characters, and her cynicism almost made me believe there would be no redemption for her, no relief from her loneliness, no meaning to be found in the strict confines of her life, but fortunately Alameddine doesn't abandon her to oblivion. What really clinched my enjoyment of the novel was one of the final scenes, in which Aaliya gets what she needs whether she likes it or not. May we all be so lucky. I have a well-documented fascination with extreme religions. I've written before about the dark, twisted world of Scientology, and I've also recommended a couple novels about children of religious extremists. There's just something about religion gone wrong that draws me in. In The Children Act, it's more a case of religion against mainstream culture, but the interplay between believers and agents of the court is still riveting. Fiona Maye is a judge in family court, presiding over contentious divorces and embittered custody battles. One day an emergency case is added to her list: a seventeen-year-old boy named Adam is refusing on religious grounds a blood transfusion that would save his life. Fiona has to decide whether to respect Adam's wishes or to allow the hospital to intervene despite them. In late middle age, Fiona is a highly professional and experienced judge. However, Adam's case may prove to be her undoing. Maybe her personal life clouds her judgment—her husband has just asked for her permission to have an affair, seemingly clueless as to why this would upset her—but whatever the reason, she handles Adam's case differently than perhaps she normally would. Instead of sending a social worker to interview Adam, Fiona suspends the court's activities and ventures to the hospital herself, believing that she should confront such a serious situation personally. Unfortunately, that fateful visit and Fiona's subsequent ruling have a far too personal effect on Adam, and Fiona may not be able to regain her professional distance ever again. 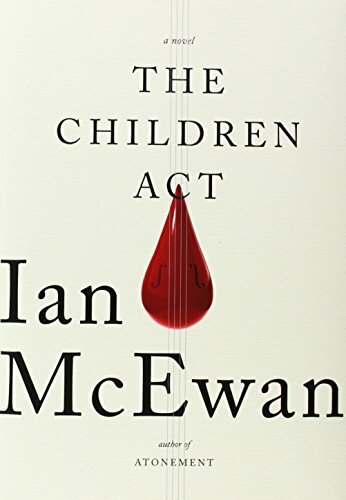 Although this is a fairly short book, clocking in under 250 pages, McEwan has packed in plenty of weighty ethical questions. At what age is a person truly able to make life-and-death decisions? How certain can we be that the views of the child are not just the views of the parents, reflected back in eager hope of approval? And the question most critical to Fiona's life and most interesting to me, where is the boundary between professional interest and personal responsibility? An engaging medical and legal drama, The Children Act asks lots of uncomfortable questions. It's the kind of book you speed through, anxious to find out the ending, but the characters and their fraught lives linger in your head long after you've learned what becomes of them.